Governor Charlie Baker begins his second term with a bang. The chattering class — including, ahem, these pages — wanted Governor Charlie Baker to act boldly. Weeks into his second term, the Republican has proposed to raise real estate transfer taxes by 50 percent, levy a new tax on opioid drug manufacturers, explore what amounts to a gas tax, and slap a tax on e-cigarettes. Turns out taxes are just the beginning. The governor has also proposed to legalize sports betting and ban handheld cellphone use while driving — thorny issues he could just as easily have left to the Legislature but where instead he is taking the lead. Then there’s the education funding formula. Baker, a well-known champion of charter schools, is wading into a bitter battle on how to boost K-12 funding. Again, he could have stayed in his lane, but he isn’t, and teacher unions are already gearing up for a protracted fight. Baker will probably have to expend plenty of his carefully hoarded political capital to get a deal. Preparing the Commonwealth for climate change is hardly controversial, but how to pay for it is. During one of the gubernatorial debates last fall, Baker declared that, if reelected, he wanted climate change to be the “big idea” that would define his second term. That was a bit of a surprise, even to environmentalists. But Baker wasted no time proving a point. In his budget released last week, the governor proposed a real estate transfer tax hike that, over the next decade, could raise over a $1 billion that municipalities could tap for resiliency projects such as improving drainage systems and fortifying sea walls. The proposal came a month after a landmark agreement with other states to spend a year studying whether the Commonwealth should participate in a cap-and-invest program to limit transportation emissions. Monies raised could be invested in public transit to further reduce congestion, a big source of carbon pollution. One estimate is that such a program would cost drivers an average of $6 a month. The governor, in his budget, also took aim at the pharmaceutical industry. 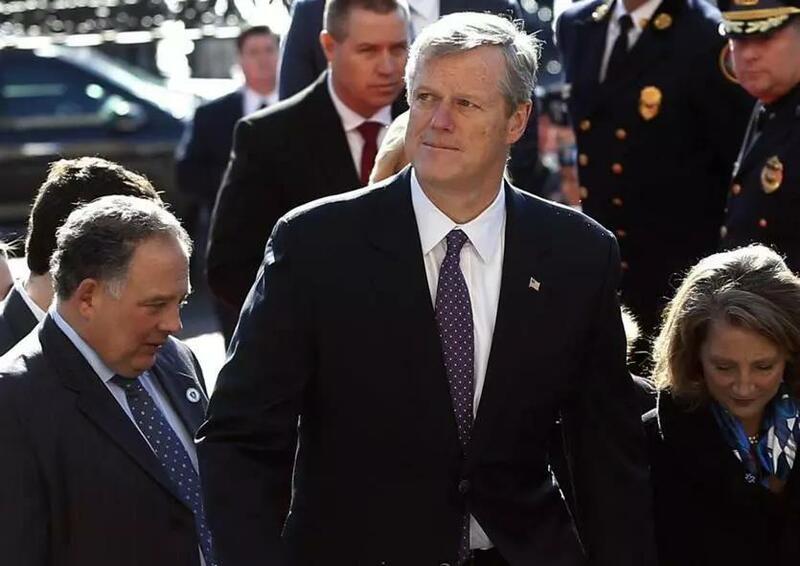 As part of an effort to control costs at MassHealth, the state Medicaid program, Baker will seek to change the law so the state can more aggressively negotiate prices with drug makers. On the campaign trail last year, Baker’s Democratic opponent, Jay Gonzalez, criticized the governor for not thinking big enough. It’s hard to say Baker isn’t doing that now. No doubt second-term Baker is already thinking about his legacy. What would be the trifecta? Moving the needle on education, climate change, and transportation. How else could the most popular governor in America spend his political capital? There is one more thing: bringing down the high cost of housing. Baker has said that was the top concern he heard from voters while on the campaign trail. He filed a modest housing bill last year that didn’t pass, and he plans to refile a similar one again. Baker could be bolder on housing reform, embracing more far-reaching zoning reforms to make it easier to build dense, multifamily housing — and he’ll need to be, since his climate resiliency tax, while no doubt needed, will make housing still more expensive. In the first month of his second term, a new Charlie Baker has emerged. Cautious no more, the governor is determined to be not just a good governor but a great one. But with bold initiatives also comes vociferous blowback. We’ll find out soon ifBaker is ready to fight for what he believes in.